Inman Connect has become one of the real estate industry’s most insightful barometers for discovering what’s happening and what’s on the horizon. The conference blends outside-the-industry expertise with in-depth discussions on everything from social media marketing to the legitimacy of 100% commission models. Its unique approach to tackling industry issues and overall environment of unification in the midst of pondering big picture questions reflects Adwerx’s view on how we serve customers. Agents by nature are highly competitive. There are only so many commissions to go around. However, when brokers and agents are removed from the heat of their respective markets, they want to know how others are “doing it.” Is social media working for you? How do you take care of retention? Are Zillow leads worth the investment? The discussion topics vary as widely as the demographics of the attendees, which makes for a rich, informative atmosphere that helps provide confirmation that the industry’s future remains in good hands. Brokers have long driven how the industry runs. And while that will remain the case for the foreseeable future, the voice of agent-driven change is growing louder. Technology has a large role in this shift, as agents and teams are being targeted directly by everything from mobile-forward CRMs to AI-backed lead generation platforms. As a result, agents are rich in market data and never more than a couple of clicks away from a lead not provided by their broker. Tech savvy and lead-rich agents are highly coveted by brokers, and retention is getting harder. We feel that agents will indeed gain power, for lack of a better term, but that the business experience of brokers will create balance, and the two forces will advance the industry from a common ground. Real estate technology is being funded faster than the dollars can be counted, and it’s not going to slow down any time soon. Today’s real estate agent needs to stay on top of what the web can provide them in terms of branding and networking. Technology vendors take up a great deal of floor space at an Inman event, some established brands, others launching at the show. Regardless of their tenure, many of them are well-funded and taking on customers quickly. Agents wanting to compete are going to need to set aside funds for online advertising, lead generation, and especially ways to stay in front of the leads they have. The competition for lead attention—the thrust of many products on display—is only going to get more challenging. 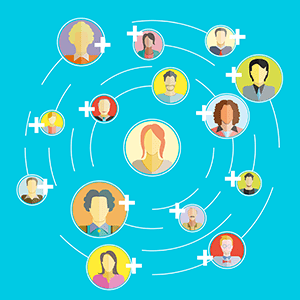 For this reason, agents should consider a Sphere of Influence ad campaign, targeting the websites of his or her current database and past clients, as a way to ensure the agent’s brand is staying top of mind with the most valuable contacts. Opendoor and Knock are two companies that buy homes directly from sellers without an agent. Offerai.com is a recently launched model similar to Zillow’s “Instant Offers.” PurpleBricks has grown quickly in Europe and is now advertising nationally in the United States. These non-agent approaches to real estate sales are well-funded and offer real estate consumers a new way to buy and sell. Their appeal can’t be denied, and it’s up to agents, brokers, and the National Association of Realtors® to ensure the value of representation remains top-of-mind for consumers. We don’t believe there will be a total upheaval of the traditional model but instead a new option for consumers in a limited number of markets. It may not always look it, but the real estate industry is more diverse than what our individual markets may suggest. Inman showed us that professionals from all demographics are helping serve an increasingly diverse America. The status of women in the industry remains a topic of critical importance, as does the overall role of real estate in determining how diversity goals shape the housing market. Agents from overseas markets offer compelling views into new ways to serve customers and look at how brokerages are managed. Inman Connect is a global event, and in turn, helps make how we do things here all the better. This takeaway fits snugly into the category of “big picture” topics that surface at a typical Inman Connect. As independent contractors, real estate agents are their own business, a fact we realized (again) during our time on the floor. This positive reassurance of an independent, growth-minded mentality should give everyone confidence that real estate agents won’t let their industry be “disrupted” by an idea of the week, regardless of how well-funded it might be. Today’s agents are making smart marketing decisions, networking with the people that will make them better, and challenging what used to be done. We saw a collective, fighting spirit that doesn’t shy away from technology or radical ideas but instead, looks to find ways to make those products and concepts work in their favor. 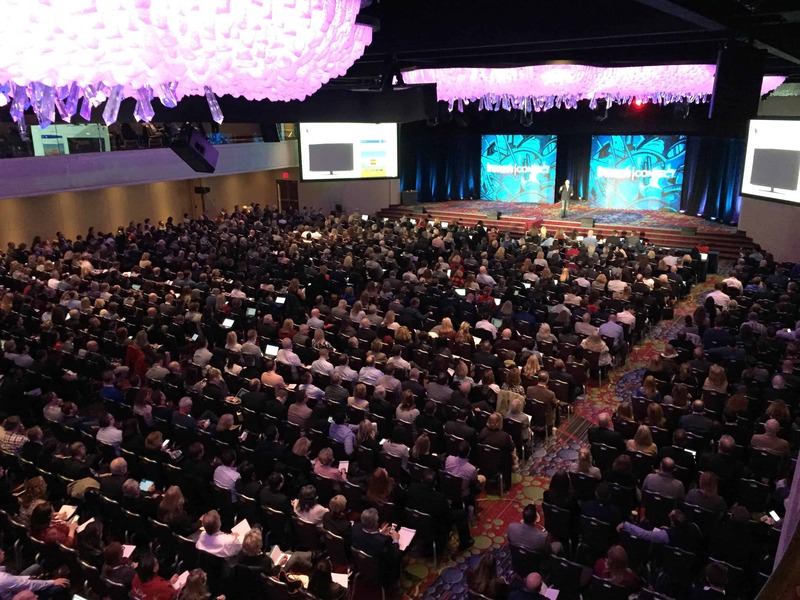 Did you attend Inman Connect in New York? We’d love to hear about your experience. And if you plan on attending Connect in San Francisco this summer, please come by to say hello.